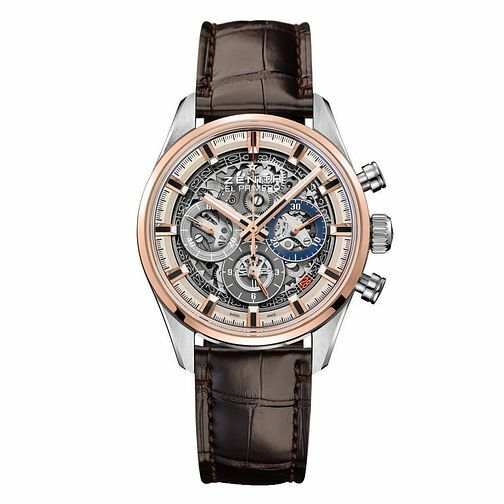 Zenith demonstrates their attention to detail with this superlative skeletonised watch, with 18ct Rose Gold and stainless steel for the case. The main feature is the dial, showcasing the meticulous craftsmanship of Swiss-watchmaking, and three chronograph subdials that help you track the time easier. Hour and second indices are clearly marked in relative size with a textured brown strap for more comfortable wearing.